Outdated fixed interval signal timing contributes to traffic congestion. “Wait, go, stop, wait, wait some more” as said by most of the traffic policemen made most drivers have spent their time fuming at red lights. Even though if sometimes the intersection might be empty, yet the light stayed red for a maddening amount of time. Or perhaps the road is so congested that you have to wait three or more full light cycles before you can make a left turn. Traditional time-of-day signal timing plans do not accommodate variable and unpredictable traffic demands. Special events, construction, or traffic incidents typically create havoc on traffic conditions. Time-of-day signal timing cannot accommodate other disruptions, such as crashes. Adaptive Signal Control Technology (ASCT) can use real-time traffic information to reduce congestion by determining which lights should be red and which should be green. It helps improve the quality of service that travelers experience on local roads and highways. 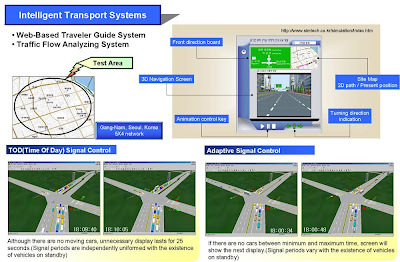 Adaptive Signal Control Technology (ASCT) captures current traffic demand data to adjust traffic signal timing to optimize traffic flow in coordinated traffic signal systems. By receiving and processing data from strategically placed sensors, ASCT can determine which lights should be red and which should be green. The process is simple. First, traffic sensors collect data. 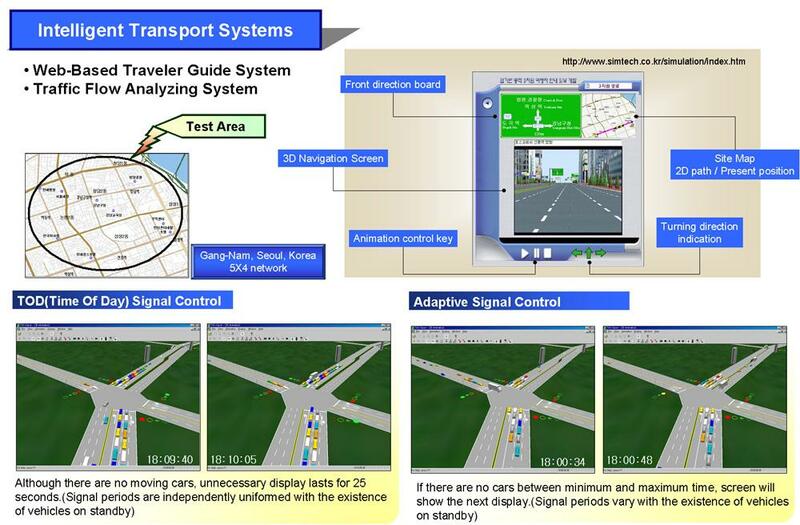 Next, traffic data is evaluated and signal timing improvements are developed. Finally, ASCT implements signal timing updates. The process is repeated every few minutes to keep traffic flowing smoothly. On average, ASCT improves travel time by more than 10%. In areas with particularly outdated signal timing, improvements can be 50% or more. Full-scale ASCT technologies are appropriate for large-scale systems of 100 or more traffic signals and on grid systems. These technologies are fully integrated into central systems that operate on a second-by-second basis and have substantial communications and detection systems overhead. They require a high level of operations and maintenance capability and often entail a traffic management center with 24-hour staffing. The City of Los Angeles uses an Automated Traffic Surveillance and Control (ATSAC) system (a product of ASCT) that was developed in-house to meet the specific needs of the city. The system includes more than 17,000 detectors and is in use on 3,200 of the city’s 4,400 traffic signals. A study conducted in 2001 analyzed the effectiveness of the system, finding it improved travel time by 13%, decreased stops by 31%, and reduced delay by 21%. At this time, AI created by humans has replaced them working at the signals and real-time management systems have been deployed on less than 1% of existing traffic signals nationwide. ASCT Manufacturer Company is now working to expand the use of these Artificial Intelligent technologies in California and across the country through the development and continued evaluation at low-cost. Institute of Transportation Studies, University of California, Berkeley.